FOR THE SPUR OF THE MOMENT, KICK OF THE BOOT, UNBRIDLED WOMAN. AMIDST NOSTALGIC PATTERNS AND BITES OF WILD ANIMAL PRINTS, RED TELLS THE STORY OF WHO SHE IS AND WHAT SHE BELIEVES IN WITHOUT HAVING TO SAY A WORD. CONFIDENCE BEING HER GREATEST ACCESSORY, RED BELIEVES IT'S NOT ABOUT WHERE SHE'S FROM, IT'S ABOUT WHERE SHE'S HEADED AND THE ECLECTIC STORY SHE CURATES ALONG THE WAY TO BECOMING A BOLDER RED. 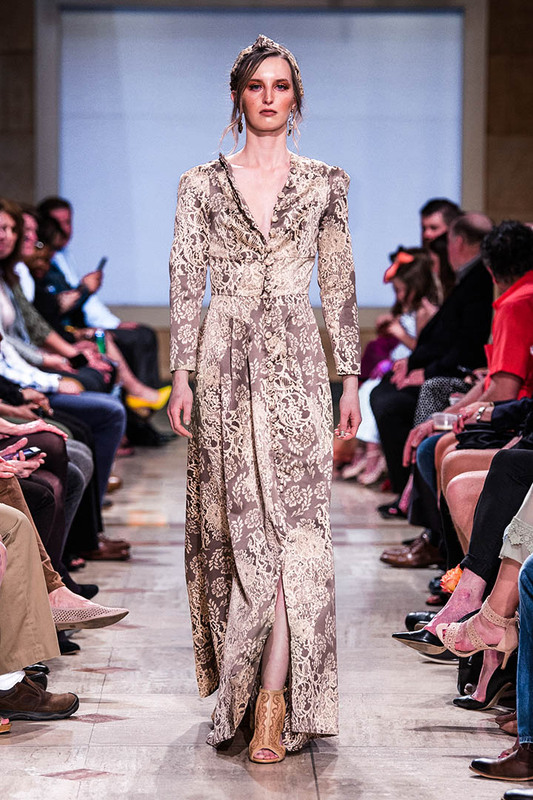 VIEW OFFICIAL RUNWAY GALLERY HERE. PHOTOS BY JASON ATHERTON. 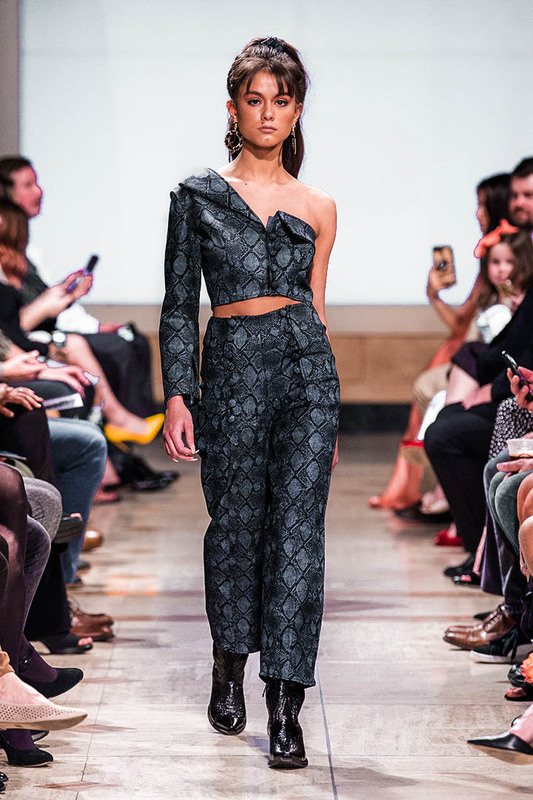 RED ON THE RUNWAY AT KANSAS CITY FASHION WEEK//PHOTOS BY ALEX TODD AND ANNA PARRY. RED CATALOG AND PROMOTIONAL IMAGES. Each ensemble was creatively paired with its sole mate. Shop looks from off the runway here.